:-[ :-[ :-[, got the hint mon! 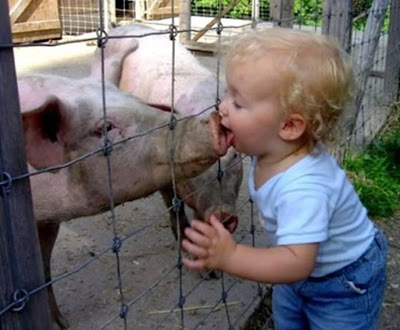 Nice one, this is the only way to avoid Swine Flu. I'm laughing at Marzie's emoticons of frustration and sadness, kamon Marzie FC lagi. I'm sure she'll have it right after that kiss! i came across this pic in someone's blog too. the baby is courageous beyond words. Recent blog post: what is your japanese name?.. Hi Monica, Cheeeeeee! I will eat, not go do that, ha ha. Lee. Yikes! So unhygienic! Pigs are dirty animals unless you make sure they are clean. She don't know anything, just a cute baby. Monica!!!! It’s not my birthday la, this Bem Bem happily declared it’s my birthday today hahhahahahha, mny sweet 17th birthday LOL! Monica!!! I woke up at 2.30 just now, slept at 9.30pm!!!! Yeah!!! I couldn sleep during the day, so did work and PB and what not, then after Idol, slept!!! What time u woke up? I woke up around 6pm ....lol!!! Yeah! Yest oso dropped 219, today around there for MD. Then the other 2, 300 each!!! Must rajin la, adgi oso clicked edi, today 68! Oh me still at Alright for Mariuca lol! Wahhhh so fast, now can sleep!!! Me cannot lol! Yeah lor, so gonna drop some more then maybe post away before I sleep again later today ha ha! U going to the airport with R or just you and sis? Bem Bem! Today I droppd 900 woo hoo! He he he! Happy besday to ME then hahahaha! So that's where it all started! Oh my, is she a girl? One thing, the baby's cute! Mariuca! just woke up is it? Yeah Mon!!!!! Went out whole day then came home so tired, haven even dropped or do MM or do PB or anything!!!! Big trouble la me lol! Yeah remember abt two weeks back I oso fell asleep on a MM night!!!! Aiyooooo ha aha hhaa!! CANT SLEEP now! yeah but I can't stop eating them...LOL!! Ha ha ah ah ok ok got fren! I dropped on important blogs for MD only, rest all haven! I slept for 5 hours Mon! That’s why for sure cant sleep now ha ha! He he he he slept the whole day it seems lol! I woke up early Mon, about 9am! oh u woke up early to visit Chubbs? To visit Chubbs and then oso had to go shopping! Went to one utama! Very tiring la shop today Mon, parking oso hard to find cause weekend some more mother’s day! hahahaha! that is indeed funny. New post coming out at woafs Mon!